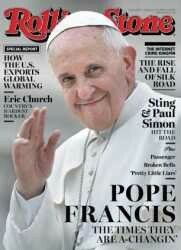 Ask yourself: "Would a true man of God want to be featured on the cover of Rolling Stone magazine?" There is spiritual significance to this happening. Pope Francis is the False Prophet who is preparing the world for the arrival of the DEAD Pope John Paul II as THE antichrist. 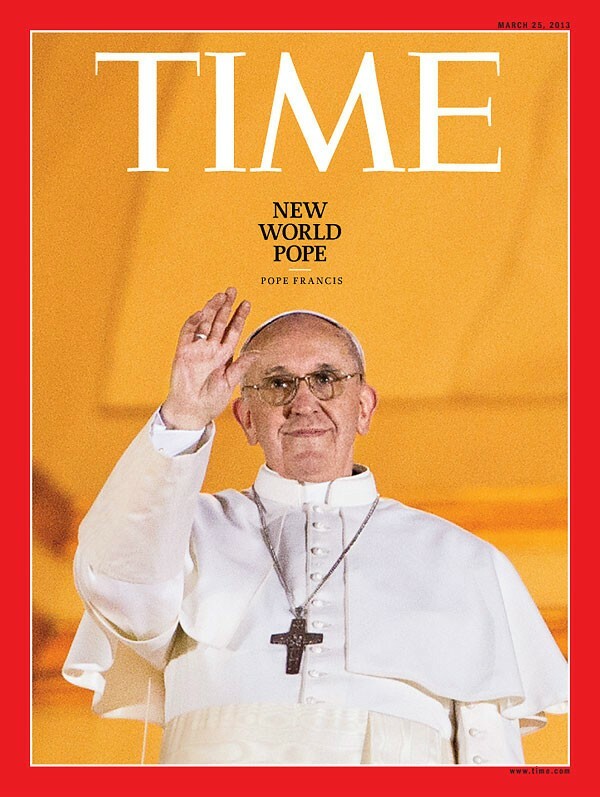 Pope Francis recently told the world that Lucifer is "god". When the Pope / Vatican sings a song worshiping Lucifer as "god", you know that the antichrist will be here very soon. Time magazine named Obama "Person of the Year" for 2012. 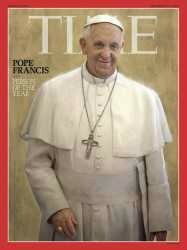 Time magazine has been a New World Order propaganda magazine for several decades. Here is a list of the people that Time magazine has "honored" in the past, and when I say "honored", I mean just that. They have worshiped quite a cast of characters while selling these people to the public. 1945 Harry S Truman - murdered 100s of thousands of innocent Japanese civilians after Japan had tried to surrender. 2012 USA President Obama - "Change" = Destruction of USA and drone warfare on the world. Now put that picture into perspective. USA President Harry Truman nuked Japan after Japan had already tried to surrender. He did it twice. And to make things even more intriguing, Truman was a 33 degree Freemason which means that he knowingly worshipped Satan, just like Pope Francis. Here is an article about the murderous President Truman. 3. grandpa of 2000 "person of the year " USA President Bush Jr.
Richard Nixon - 1971 "person of the year" was sponsored by Prescott Bush, father and grandpa of USA Presidents Bush and Bush. The world is in the malignant grip of a satanic cult. USA President Bill Clinton - "person of the year" 1998 admits that the govt has been doing human experiments on the American People for decades. Listen to his words and then ask yourself why chemtrails have been denied by the govt for almost 2 decades. Ask yourself why the govt has allowed GMO foods and why they don't require labeling on food items so that consumers can make informed choices. "former Soviet President Mikhail S. Gorbachev opened an office Friday on one of America's most hallowed military posts, the Presidio of San Francisco. Gorbachev, who resigned from office in 1991 as the Soviet Union crumbled, was given the key to new digs for his pro-democracy foundation by the Presidio's commanding general in a ceremony rich with irony and symbolism." The RULING class in every country is friends with the RULING class in every other country and they are ALL working together to defeat the rest of us, no matter where we live. There is spiritual wickedness in high places. When Paul speaks of "spiritual wickedness in high places", he is referring to wicked spirits who have infiltrated the systems of the world. Satan has organized his evil forces to imitate the organization of the true church of God. He has set up a form of worship in the spiritual high places – the Vatican and the tax exempt 501(c) government controlled religious charitable systems. As you watch this video, remember that the Popes claim to be "god". Compare what the Vatican and the Popes have done and are now doing, with the King James Bible. Jesus lived a very humble and impoverished life, while the Vatican and the Popes live a life filled with wealth and corruption. Here is a google image page filled with pictures of the Vatican's official crest, which just happens to be a red dragon. What a "coincidence". The evidence is everywhere we look. When Catholics defend the Vatican instead of defending Jesus Christ, they are choosing Satan over Jesus Christ. As you watch the video above, remember that the Popes claim to be "god". Compare what the Vatican and the Popes have done and are now doing, with the King James Bible. Jesus lived a very humble and impoverished life, while the Vatican and the Popes live a life filled with wealth and corruption. Isaiah 14:12-14: How art thou fallen from heaven, O Lucifer, son of the morning! how art thou cut down to the ground, which didst weaken the nations! For thou hast said in thine heart, I will ascend into heaven, I will exalt my throne above the stars of God: I will sit also upon the mount of the congregation, in the sides of the north: I will ascend above the heights of the clouds; I will be like the most High. Satan and Rome's end result? The world regards the Popes as Christian leaders and yet the Popes speak like the devil. The Popes claim to be "god" and yet they say things that are the opposite of what the King James Bible says. They claim to represent Jesus Christ, but they carry the bent cross that is satanic. Here is Pope Francis with a bent cross, which is satanic. Satan's Synagogue is the Vatican. Pope Francis is Satan's servant. The False Prophet said that Jesus Christ was just a man. The DEAD Pope John Paul II is coming back from HELL to be the antichrist. This article proves it, directly from the King James Bible. 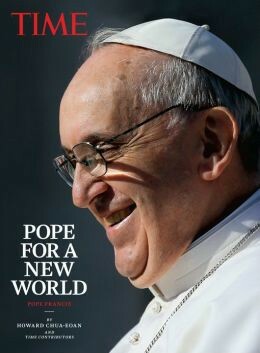 The article was written well before Pope Ratzinger "resigned" and Pope Francis became Pope. Now here is the thing.... the Popes claim to be "god" on Earth, so how does a Pope STOP being "god" and how does another man become "god" while both Popes are alive? The Vatican knows what it is in the Bible. The Popes know who they are in the Bible. Most people don't know the Bible, including most professing Christians. Pope Ratzinger is STILL the Pope and Pope Francis is his PROXY. Those men tried to fool the world and they did fool most people. During His public ministry there were several plots on His life and at least one attempt which was aborted. He met the opposition of demonic powers, religious leaders, His own followers, and Satan. As we walk with Him, we are a huge threat to Satan and the demonic powers. When you align yourself with the plan and purposes of Jesus by receiving Him as your personal Savior, you become part of the army that wars against Satan. The purposes of Jesus become your purposes and this sets you in a tactical position of direct opposition to the enemy.